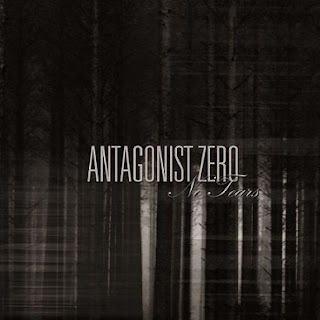 Antagonist Zero are a band from Finland that plays a mixture of doom, death and post metal and they refer to the style as 'catonic metal' and this is a review of their 2015 ep "No Tears" which was released by Inverse Records. Melodic guitar leads start off the ep before going into a heavier musical direction along with some death metal growls and screams which have a black metal tinge to them and after awhile clean singing vocals are added into certain sections of the recording and all of the musical instruments have a very powerful sound to them. All of the songs are very long and epic in length and the songs bring in a great amount of melody and you can hear elements of goth and post rock and the solos and leads are in a very melodic direction and there is a great amount of atmosphere in the tracks and the whole ep sticks to a slow musical direction and the last 2 tracks are cover's of Jenni Vartairnen and Doom Vs.
Antagonist Zero plays a musical style that combines doom metal, melodic death and post rock to create an atmospheric and melancholic style of music, the production sounds very professional while the lyrics cover sorrow and destiny themes. 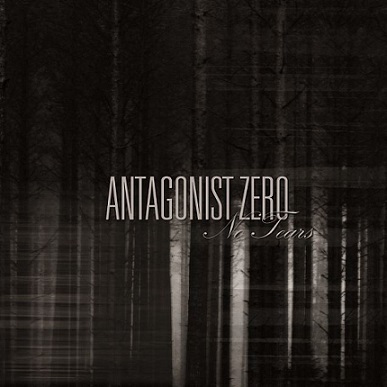 In my opinion Antagonist Zero are a very great atmospheric mixture of doom, melodic death and post metal and if you are a fan of those musical genres, you should check out this band. RECOMMENDED TRACKS INCLUDE "No Tears" and "Suru". 8 out of 10.